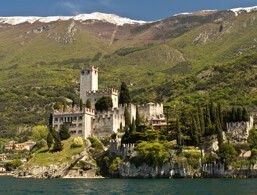 Castel of Malcesine. Discover Lake Garda! 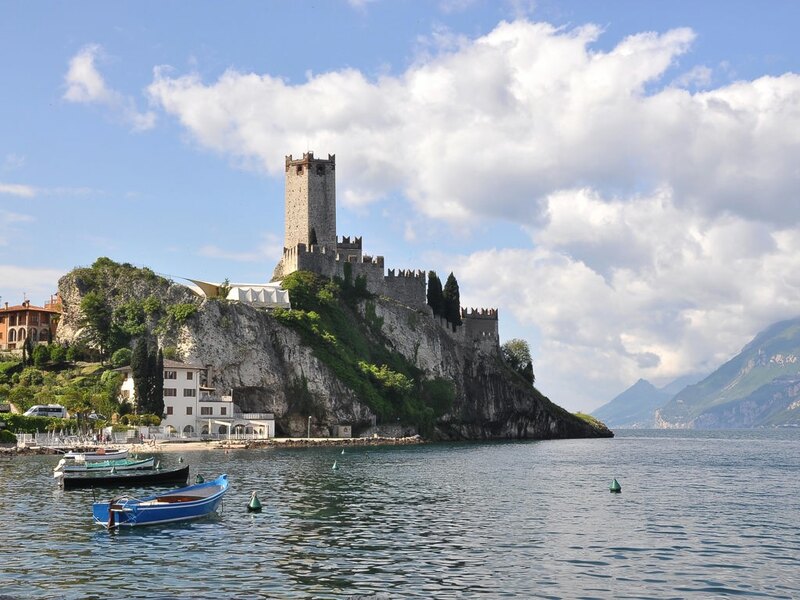 The famous Scaliger Castle of Malcesine stands on the only hill directly on the shore of Lake Garda, close to the houses at the foot of Monte Baldo. 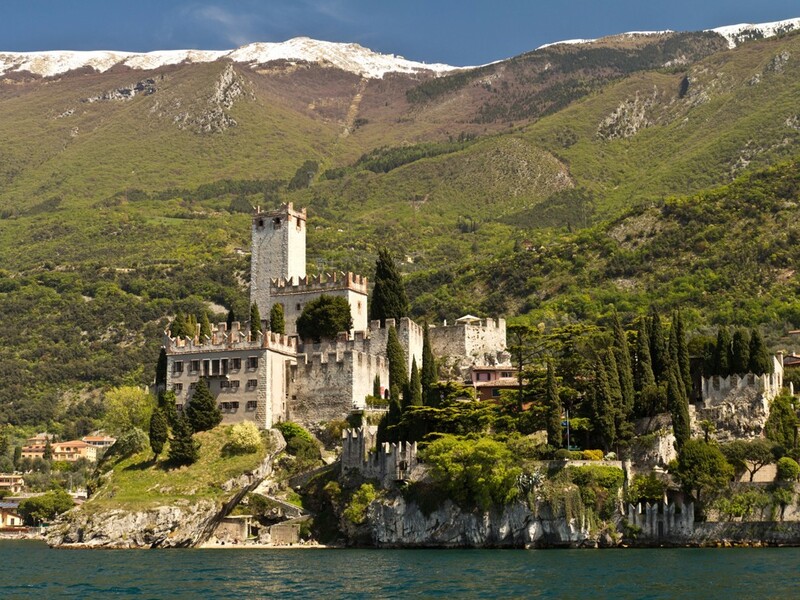 The castle was built in the 12th century by the former lords of Verona, the Scaligeri. It consists of three walled courtyards. The castle is open to the public and offers all kinds of interesting exhibitions and special features. In the lowest yard is the Palazzo Inferiore. The palace was built in 1620 by Venice for the garrison of the city, and today it’s a modest museum. It provides information about the glacier movements on the lake basin as well as other geological features of the region. The walk to the next courtyard leads to a beautiful view and balcony. Here, in a gunpowder magazine built by the Austrians, there's an exhibition dedicated to the poet Johann Wolfgang von Goethe. A bust sits on the spot where he was accused of espionage on September 13, 1786. The central part of the castle with great hall and keep is in the third courtyard. 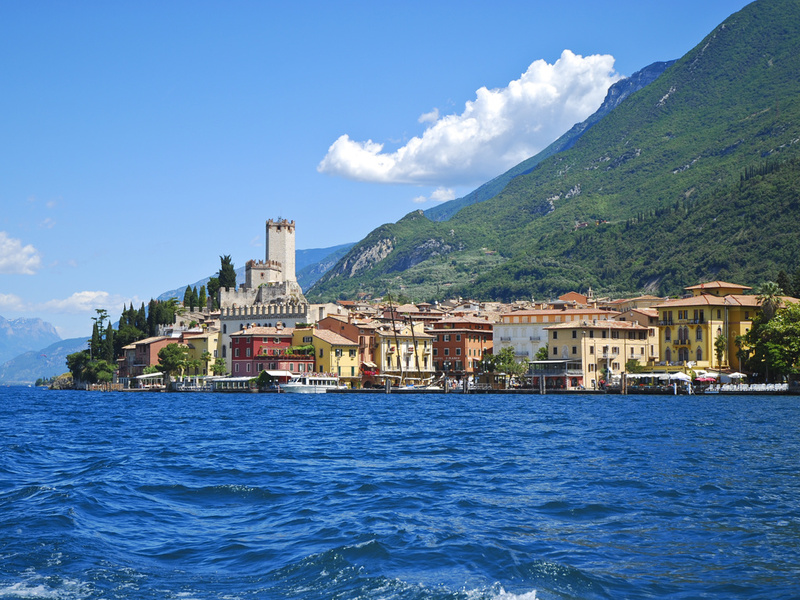 An archaeological museum displays ancient discoveries, weapons and documents from shipping on Lake Garda. 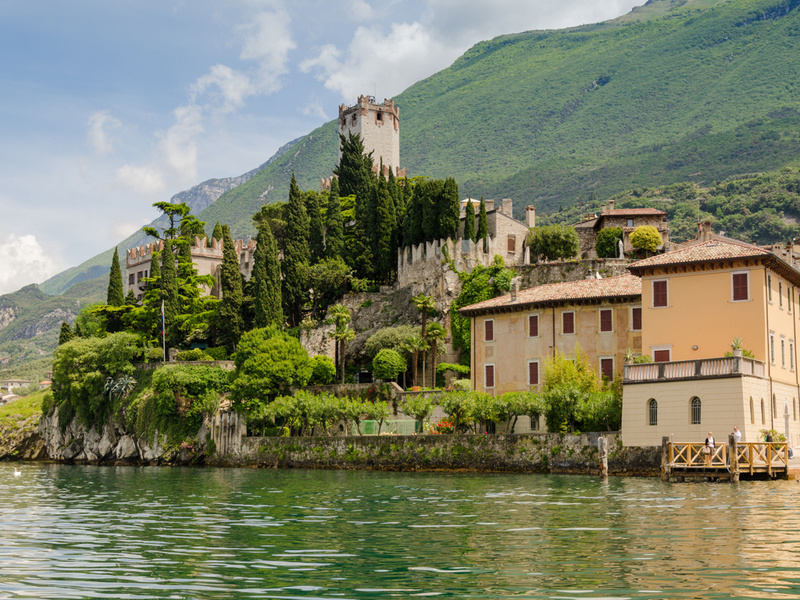 Goethe owes his visit to the picturesque port town of Malcesine, like so many things in life, to a coincidence. 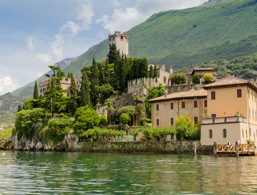 The wind had suddenly changed course and steered his boat straight to Malcesine. Determined, he immediately climbed up to the castle and began to draw. "I did not sit very long," he wrote later, "so various people came into the yard, looked at me and went back and forth. The crowd multiplied, finally stopped, so that they finally surrounded me." One of them tore up the sketch. Goethe was under suspicion of being an Austrian enemy spy. After detailed stories by Goethe about the latest affairs of the noble Frankfurt society, it was clear that he came from Frankfurt. In later records, despite the extraordinary incident, Goethe was extremely impressed by the place and its inhabitants.